Everyone celebrates Frightful Fall differently. Costumes, candy apples, trick-or-treating and fall festivals are all popular ways to show your autumn spirit. 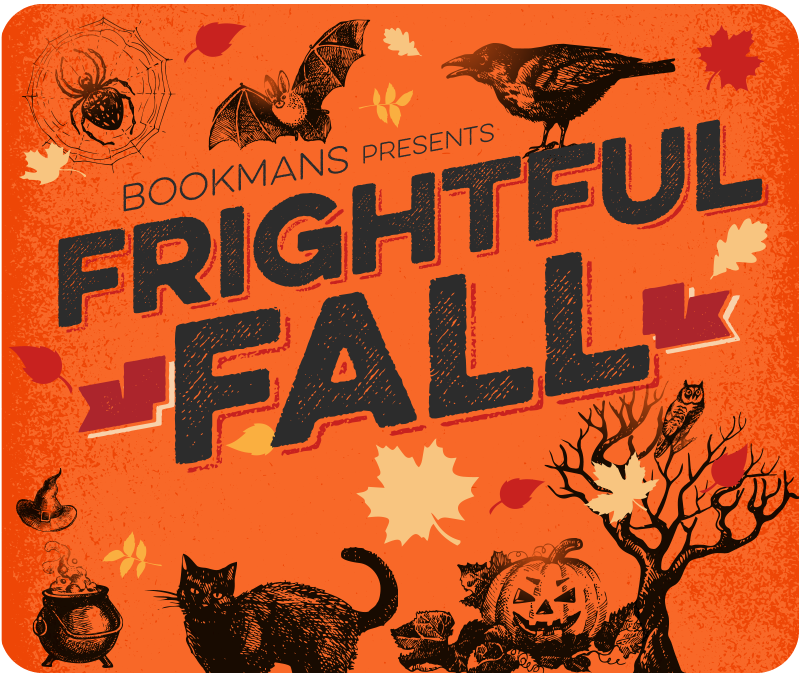 At Bookmans, we like to celebrate with the perfect Halloween playlist. With so many creepy songs to choose from, we recommend making a few different playlists in order to capture each specific spooky mood. Today, we are highlighting the classics. These songs are a must at any Frightful Fall party. Whether you will be watching horror movies or carving pumpkins this Halloween, here is a list of knock-your-socks off songs to get you in that scary spirit. We start off this list with a graveyard smash! This is by far one of the most well-known Halloween themed songs. It’s the type of song that when you hear the title, the tune is immediately stuck in your head. You can’t help but sing along. This song, released in 1959, became an instant hit. Love Potion Number Nine was so popular that thousands of famous artists did their own renditions including the Searchers, Neil Diamond, and The Baskervilles. The tune is catchy, the lyrics are clever, and the story leaves you wanting more. Let’s face it, we are all looking for our own love potion number nine! Sheb Wooley outdid himself in writing this hit. The Flying Purple People Eater is one of those songs that makes no sense at all, but is such a classic. In fact, it was so famous that there was a film made about it where a kid plays the song and accidentally summons the creature! You were probably expecting to see this timeless piece on the list. Michael Jackson’s Thriller took the world by storm in 1982. The music video is a piece of art with all the makeup, dancing, and creativity that was put into it. The song just makes you want to get up and dance! There you have it! Keep your eyes peeled for all of these classics at our stores or by calling one of our Bookmans locations. We also suggest to ask or check out our employee recommendations, our shelves as our selection is always changing. *Bookmans is your store to explore. We can’t guarantee stock, so if you are interested in one of the albums mentioned, please give us a call and we’ll check our orange shelves for you.